Hey again! Here’s our second sample pack. This time we’re sticking around Europe and the 20th century with a little trip to Africa thanks to our friends at the National Library of France. We definitely recommend browsing through their Gallica portal. You can find millions of fascinating archival materials there, a lot of which are in the Public Domain. We got some feedback after the last Sample Pack about the audio quality of some of the recordings. This is a mixture of two things, 1. things like wax cylinders and 78s are OLD, they’re super old, fragile and they deteriorate very quickly, 2. archives are already financially stretched so things like EQ, processing, noise reduction and that stuff is sometimes left to third parties. Also, archives occasionally feel the responsibility to present items “as is”. That means, keeping the items in their purest form from analog to digital. Editing the audio too much during digitization could cause a loss of “originality” and thus not be an honest reproduction. But, if you really want to reduce some of the background noise we suggest these EQ tips. 7000 Hz for acoustic recordings (before 1926). We’ll talk more about all this later. But for now try and internalize what Peder Mannerfelt said to Ableton recently in an interview about his 2015 album, The Swedish Congo Record. This 78 could have its own post written for it. 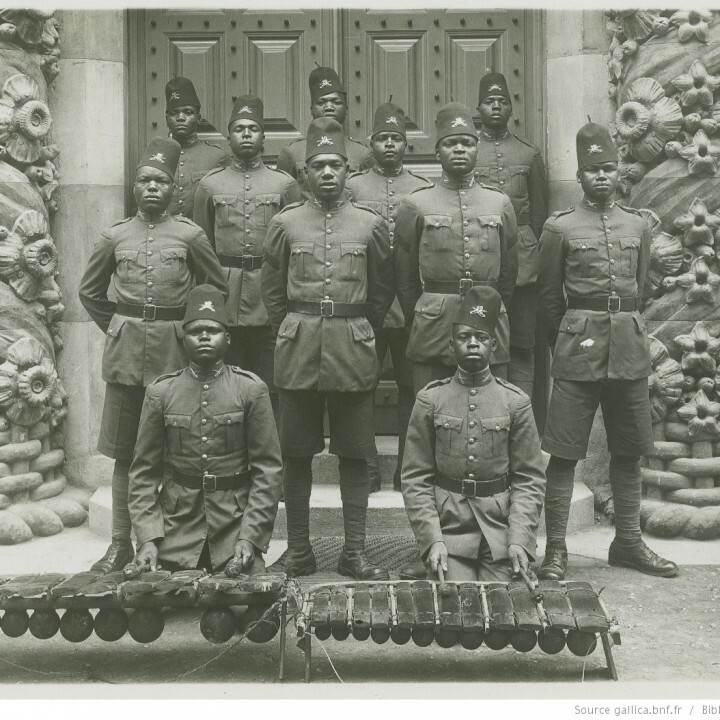 Recorded in 1931 in Mozambique we’re given first hand insight into two traditional soliders’ chants, one featuring amazing looking marimbas and xylophones and the other is an unaccompanied male choir singing something of unparalleled beauty in Bantu. Very grateful of the National Library of France for making this rare and spectacular recording available. Public Domain. Short audio of a child singing the old classic, “Humpty Dumpty”. I’d work this into every track I make if I could. Super special and original. The kid recites the song with some serious panache. Provided by the British Library under a CC BY-NC license. Here’s a slick little Balkan style track from we don’t know when. This version was preformed by the Latvian, Artūrs Priednieks Cavara but the original was written by Italian composer Eduardo di Capua. It’s got this great vibraphone in it and the vocals are super powerful. Rather high quality digitization as well. Many thanks to the National Library of Latvia for making this one available in the Public Domain. Bukareste: svings– Šulcs, J., Tikanovs, R., Troics, V.
A hot saxophone and jangley piano are the two highlights off of this 78 from the National Library of Latvia. The famous trio of J.Sulcs, R.Tikanovs, V.Troics really swing on this track. It also a pretty tight drum solo break. Also CC BY. Remember Kanye and Jay Z’s “H-A-M” track from 2010? It had some serious operatic elements to it. Well this piece, “Eh!…Son Qua! Son Qua!” is an excerpt from the Opera of the same name and there’s nothing “eh” about it. With the fluttering flutes and bombastic voices there’s some very sample worthy material held within. Made available by the E-Clap Project under CC BY-SA-NC. We love these European ethnographic recordings. Traditional folk songs sung by everyday people, the way folk music was intended to be. This one from Lithuania is another heart felt and passionate reciting of “Pasigyrė man bernelis”. We can’t find much detail about the original version but that makes this song all the more special. Made available by LMTA under a CC BY license. So that’s it for this time. Some really unique pieces in here. Check back next week and be sure to share with us anything you come up with!